The Battle of Antietam is now regarded as the turning point of the American Civil War, as a pose to the traditionally heralded Battle of Gettysburg . It marked the end of Southern expansion into Union territory, and, more importantly, allowed for Lincoln an appropriate moment to issue the Emancipation Proclamation . Although Lincoln had written the piece long before this date, Lincoln chose to wait until a Union victory in order to not exude a sign of Union weakness . In addition, Lincoln’s Proclamation has a very legalistic tone of language upon first inspection, giving an air of indifference in this very passionate topic. When given in the broader context of Lincoln’s actions prior to this, the true meaning of this letter becomes apparent. In part, the tone of language is formal because it was, for all intensive purposes, a legal document. To call the Proclamation dull is unfair regarding the context of its introduction. For example, Lincoln said that slaves “are, and henceforward shall be free,” a tone suggesting irreversibility. In fact, Lincoln states that “the Executive Government of the United States, including the military and naval authority thereof, will recognize and maintain the freedom of such persons,” implying that through this executive action, the federal government has the responsibility to protect the freedom of all men in the Union. He later declares “upon this act, sincerely believed to be an act of justice, warranted by the Constitution, upon military necessity, I invoke the considerate judgment of mankind, and the gracious favor of Almighty God.” Lincoln elevates the act to several levels, starting with the necessity to uphold the Constitution, the necessity to preserve the Union, to the duty of humanity to enact justice, and finally the expectation of God himself . Within the parameters of a legal document issuing the dismantlement of an established system of slavery during a war, this document is steeped with a sense of justice and duty from the president. In the global political sphere, it was paramount to dissuade European Powers from recognizing and aiding the Confederacy. Lincoln understood the need to create a link between the Confederacy and slavery overtly; in short, if you support the Confederacy, you are supporting slavery. This directly contradicts the transatlantic movement for general advance of freedom in the eighteenth an nineteenth centuries, namely Great Britain, France, Prussia, and Russia . With Lincoln declaring the abolition of slavery a direct goal of the Civil War, these powers could no longer recognize the Confederacy as independent without directly supporting their aim to continue the establishment of slavery. Internally, the citizens of the Union overwhelmingly supported the war effort in order to maintain the integrity of the nation. However, the majority of Americans did not support the call for universal abolition, a stance only taken by the radical Republicans or abolitionists. In fact, it had been speculated by John Quincy Adams that the only way to abolish slavery through the federal government was to evoke wartime powers . Lincoln made abolition of slavery into a wartime necessity by allowing the enlistment of black soldiers, as well as the ability to ruin the “engine” of the Confederate army (i.e. menial black slave labor). Through this, he could unite the Union to join the cause for a war of integrity by abolition, finally combining the two causes. The main issue with looking at the Emancipation Proclamation is the distanciation between us and the event, diminishing emotional intensity and context. At the time, both the North and the South largely opposed the dismantlement of the institution of slavery. Lincoln’s conflicted convictions between his duty and his desires as president largely decided his ability to act upon this issue. His duty was to preserve the Union, first and foremost, but his convictions held him opposed to slavery throughout his life. His ability to combine the national war effort with the abolishment of slavery is discounted today, because of the lack of context we have. Although the Proclamation did satisfy several needs of the war, it is important to remember that the issue was not supported without sufficient reason to do so . Wartime was the ideal place to issue the Emancipation Proclamation because it could be declared a wartime necessity, thus allowing the presidential powers to override the states’ . Without the convoluted political reasoning, emancipation would have been pushed back even further. In the wake of the Civil War, Antietam provided the perfect scenario to finally push Lincoln’s Proclamation. Lincoln’s Letter to A. G. Hodges, April 4, 1864. Lincoln, Abraham. “The Emancipation Proclamation”. National Archives and Records Administration. 1) Lucas E. Morel. “Lincoln’s Proclamation: Emancipation Reconsidered (review).” Civil War History 57.2 (2011): 188-190. 2) Martha S. Jones. and Kate Masur. and Louis Masur. and James Oakes. and Manisha Sinha. 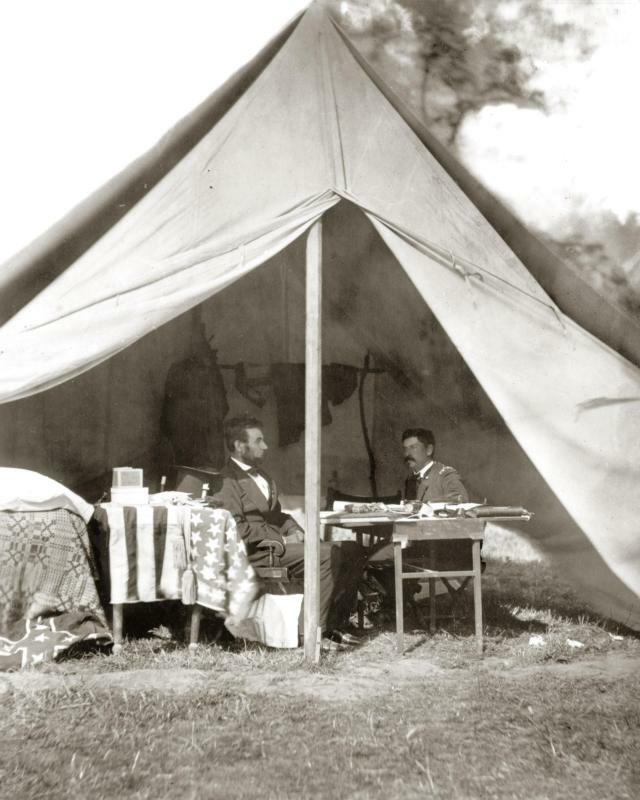 “Historians’ Forum: The Emancipation Proclamation.” Civil War History 59.1 (2013): 7-31. 3) Stanley Harrold. “Dramatic Turning Point or Points? Teaching Lincoln’s Emancipation Proclamation” OAH Magazine of History (2013): 11-16. This was a very well written post, I truly liked it. The only thing I would say is to make sure that the links are working correctly as they did not for me. Another thing you might want to consider is resizing the pictures because they seem a little distorted to me due to the amplification and maybe place them differently to make the post more attractive to the eye. Otherwise I found your analysis very intriguing, the fact that Lincoln had to take advantage of a war situation to be able to issue the Emancipation Proclamation and moreover his views on slavery reveals another aspect of Lincoln. 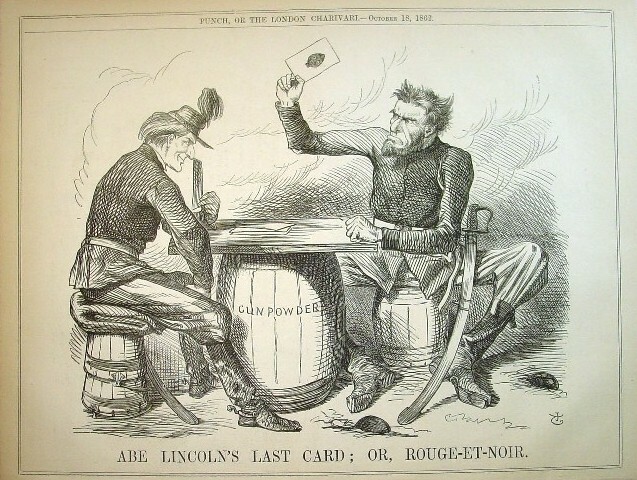 It was very interesting to me to read that letter where Lincoln says that if he could save the Union without freeing the slaves he would do so, I thought it was almost a counter memory to the image that we have of “The Great Emancipator”. It made me reflect on the fact that had the Civil War not occur and had Lincoln not been able to push the emaciation proclamation forward at what point in time would America abolish slavery, and what that would of entailed for us today as a society. Overall I thought you made very compelling and valid points and your reflection on American memory was fascinating. Honestly, I found the material of this post incredibly interesting. I actually went to where the battle was a few years back. I also find it incredibly interesting that when reading Lincoln’s speeches and personal letters, he seems to vehemently oppose slavery on all accounts, but also says that “it should not be touched where then existed.” I found it strange that a person can hate something but not want to change it. All in all, a great post! Nice work! I am not familiar with the citation style you used, but I know that with APA citations you must include a year next to the author when using in-text citations. Also, consider including a link to my post about artwork by Nathan Greene. His work depicts Lincoln the night after visiting Antietam. There is also reference in the post to the political upper hand regarding the Emancipation Proclamation provided to the Union by their victory at this battle.